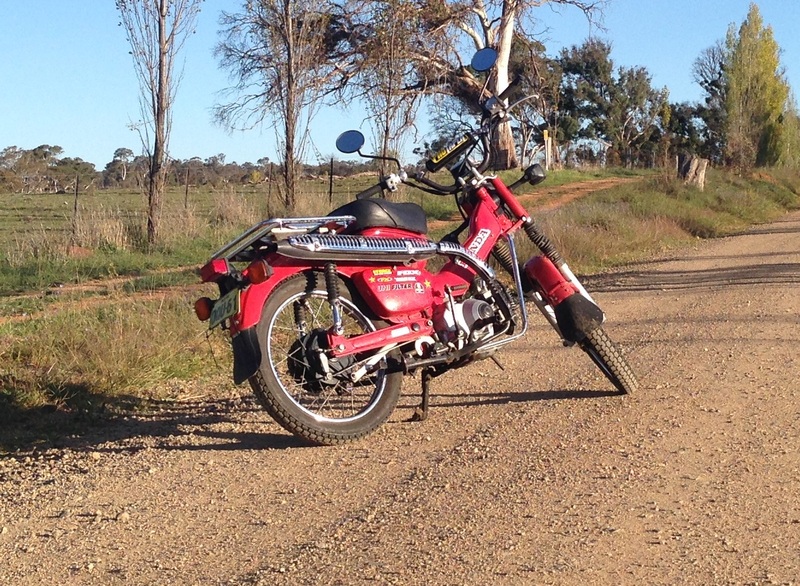 Martin’s bike is a 2009 Honda CT110 that he bought from Gumtree in late 2013, since then he has replaced the chain and the real wheel bearings in preparation for the trip. By the time he leaves on the “East to West Postie Ride for Farmers” he plans on having added a long range fuel tank, a 12volt charging point, puncture proof tires, PVC pipes on the front forks and a rack on the back of the bike that can carry two 20 litre fuel drums. The long range fuel tanks will help increase the bikes range without refuelling from 100km to 300km, however this will not be enough for the most remote sections of the trip. 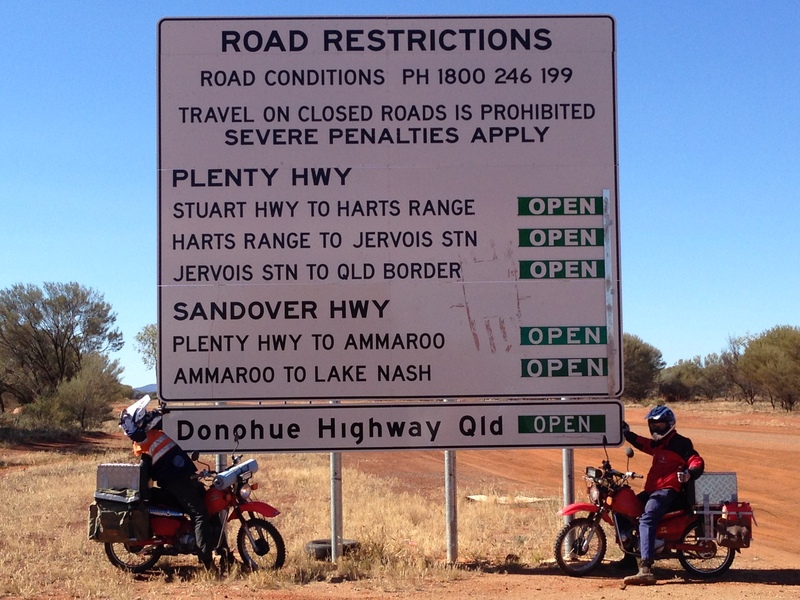 This is why Martin’s bike will also have the two 20 litre fuel drums on the back to carry the extra fuel needed to get the bikes across the Tanami Track and the Plenty Highway. Do to the extreme nature of some of the terrain both bikes will be fitted with PVC pipes on the front forks to carry emergency supplies of water in addition to bottles of water and camel packs. While the charging point will help keep our GoPros, phones (not that we’ll be in range most of the time) and other electrical devices charged. James purchased his Postie Bike at the beginning of 2013 as a means of travelling around Armidale while at university and he quickly found it to be a handy way of getting around. After travelling on many roads around the New England area, the idea of travelling further is a challenge that he believes with the right planning and equipment can be completed successfully. In preparation for the trip a number of modifications/improvements will be completed on the bike the end result will be shared shortly.